The look at the sky becomes a WOW experience. In the beginning, the 2.3x magnification is not apparent, but where the unaided eye shows only a few stars, you will find yourself in a sea of stars. The number of stars increases up to ten times of the number visible to the naked eye. Extensive nebula regions suddenly become visible in their natural size. The Andromeda galaxy, hard to make out with the unaided eye, shows its entire size of about two degrees. You can lose yourself totally in the Milky Way. 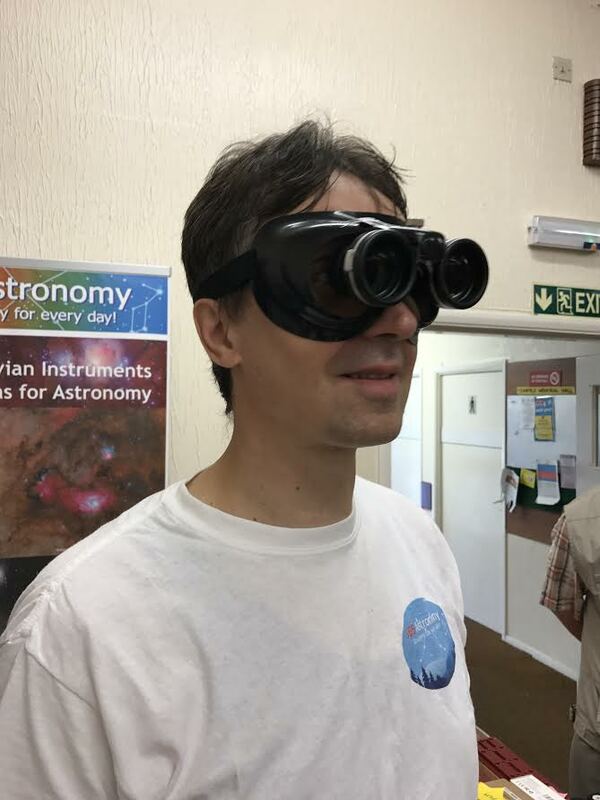 When observing with the WideBino28, one does not have the impression of looking through binoculars. The impression is more like an eyesight intensifier. The starry sky appears brighter, nebula regions become visible, you get deeper into the sky. 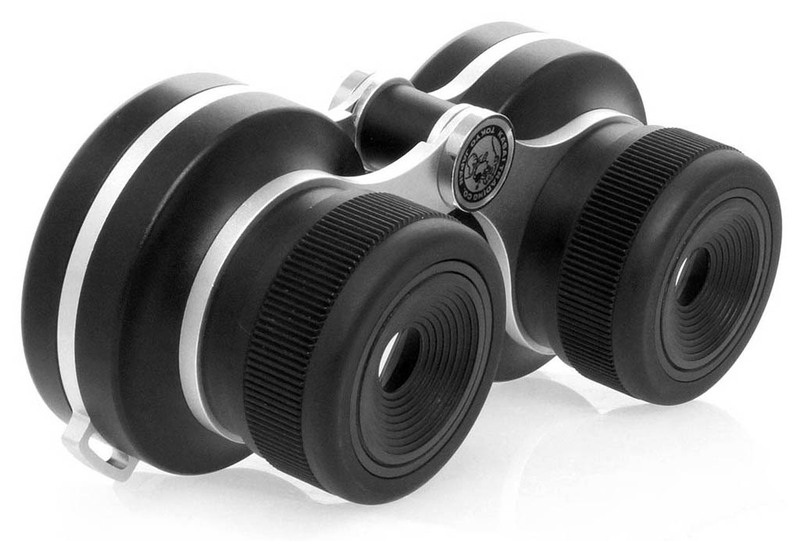 The base of the binoculars are opera glasses with Galilean optics. Omitting the erecting prisms results in surprisingly contrasty optics with a large and bright image and a huge field of view of 28° at night time, according to the manufacturer. 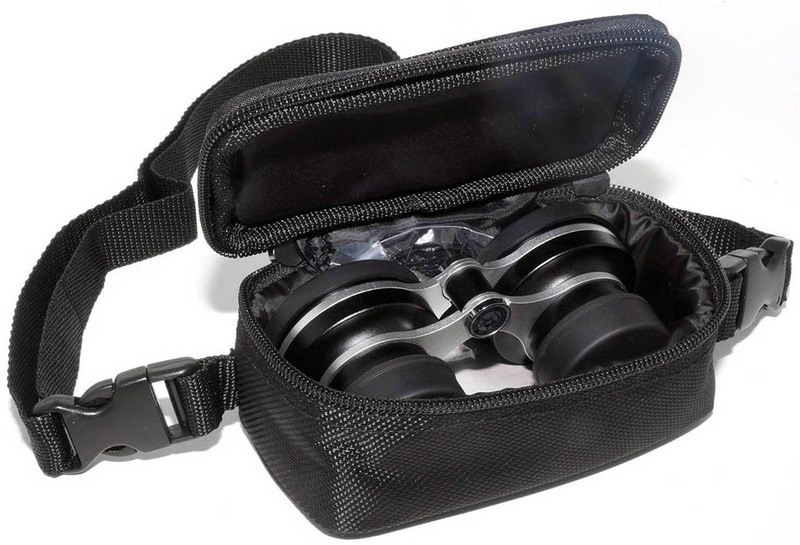 This allows to observe complete constellations or regions of the milky way with dark clouds. The field of view of Galileian telescopes varies with the pupil diameter of the observer, so a practical test at daylight, with narrow pupils, has shown only 21°. The optical design of the WideBino28 consists of two extremely fast objectives (2-element meniscus objective system) and two eyepieces produced especially for this huge field of view. Stars are dot-like over the entire field. Basically the field of view of Galilean opera glasses with their divergent eyepieces is very small. The only way to widen it is to use extremely fast (f/2 or faster) objective lenses. 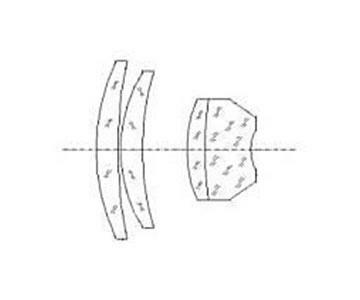 For this reason, the WideBino28 has 40 mm aperture, despite the calculation for Keplerian systems results in an exit pupil of 40 mm / 2,3 = 17,4 mm - far too oversized for the human eye. Actually, the exit pupil of the WideBino28 equals the diameter of the eye pupil of the observer, and the entrance pupil is 2.3 times as large. If one´s eye has 7 mm pupil diameter in the dark, the entrance pupil will have 2.3 * 7 mm = 16.1 mm diameter. 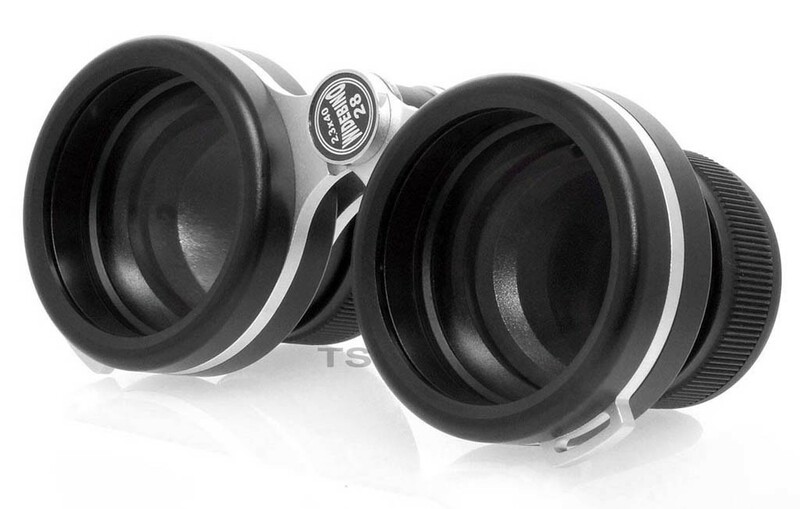 Nebula filters for the ultimate observing thrill! 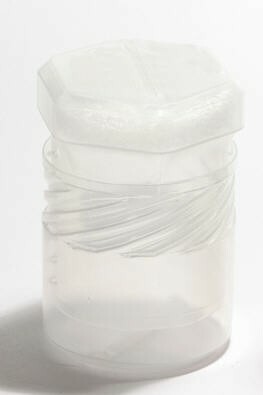 For the WideBino28, we offer an optional holder for nebula filters (Art. No. WB28-Filter). These metal holders are screwed into the objectives instead of the front rings. With the nebula filters, visibility of faint nebula structures increases enormously.